I know… you’ve been asking. WHAT THE HECK ARE THOSE MOTHS? Well, you see here’s the deal. You can find out what those moths are that plague Ferryl day in and day out. You can find out what is the deal with those butterflies that swarm the mountainside in The Purloined Prophecy. Or that mysterious wolf/butterfly sculpture in Chesedelle Castle. You can find out by reading the lost novel of The Chalam Færytales. And you can only read the lost novel on Patreon. But as a treat, I’ve made the first chapter public. That’s right—you can read the first chapter of the lost novel for FREE right now! And if it whets your appetite to find out more… well, I can’t be responsible for that. Read Chapter One of the lost novel today! https://www.morgangfarris.com/wp-content/uploads/2018/12/butterflywings.jpg 640 960 Morgan G Farris https://www.morgangfarris.com/wp-content/uploads/2018/03/weblogo_name-01.png Morgan G Farris2019-01-02 06:56:122018-12-29 15:07:47Unlocked: Read the First Chapter of the Lost Novel! The Lost Novel – Chapter One Releases today! My friends, I am so excited to share this with you. It’s a LOST NOVEL in The Chalam Færytales. If you’ve read the first two books, then you know… there’s something up with those moths. Want to know what they are? Well here is your chance! The Lost Novel Chapter One releases TODAY, but only on Patreon. And only if you’re a VIP. And only if you join at The Prophets level. Well, it’s simple, really. You’re helping get my art into the world. Your support means more books. More art. More music. To more people. So join the fun and become a VIP today! 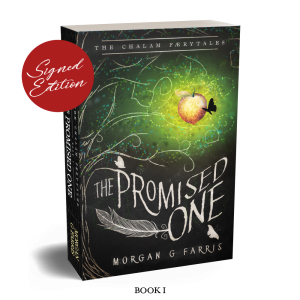 https://www.morgangfarris.com/wp-content/uploads/2018/10/lostnovel_VIP.jpg 1080 1920 Morgan G Farris https://www.morgangfarris.com/wp-content/uploads/2018/03/weblogo_name-01.png Morgan G Farris2018-11-01 09:38:202018-12-12 15:39:27The Lost Novel - Chapter One Releases today!